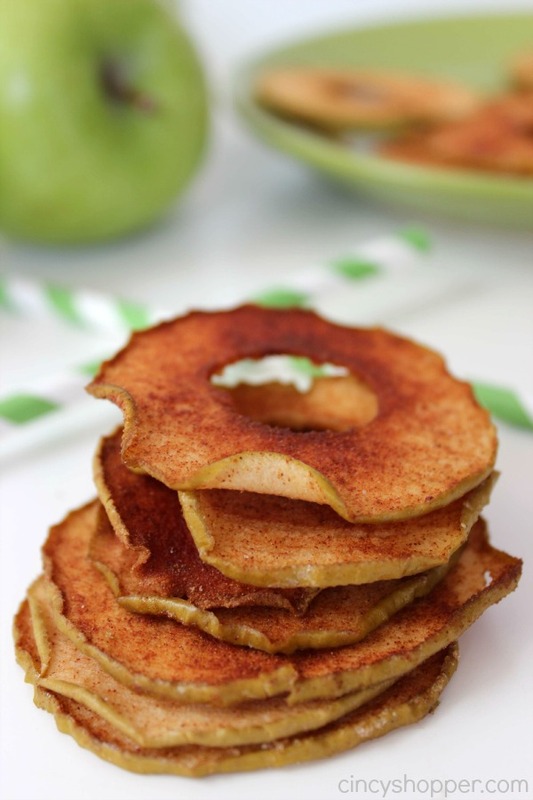 This Baked Apple Chips Recipe is going to quickly become one of your favorite snacks this fall. 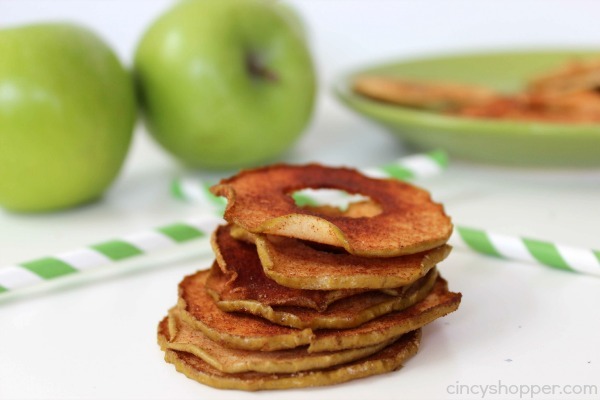 Every fall when I start making apple recipes this is one of my first that I make. 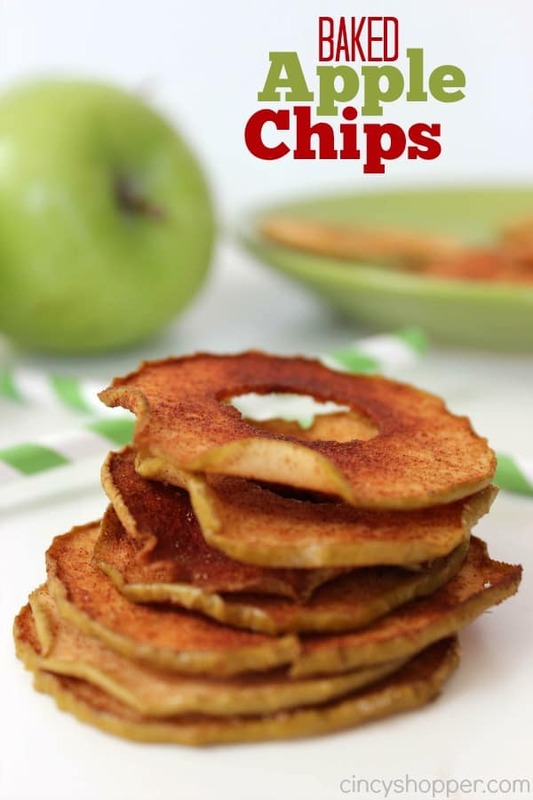 I like to make a batch of Apple Chips to enjoy for an evening snack. Apples and cinnamon always warm me up. Last week I made some Caramel Apples to put me in the fall spirit. I know it will not be long before it is cool and warm weather behind us. The smell of cinnamon throughout the house really makes the thought of fall more pleasant. Last year I made up numerous batches of Apple Chips because the kiddos love them. I packaged them up in small containers so they could toss them in their lunchboxes. 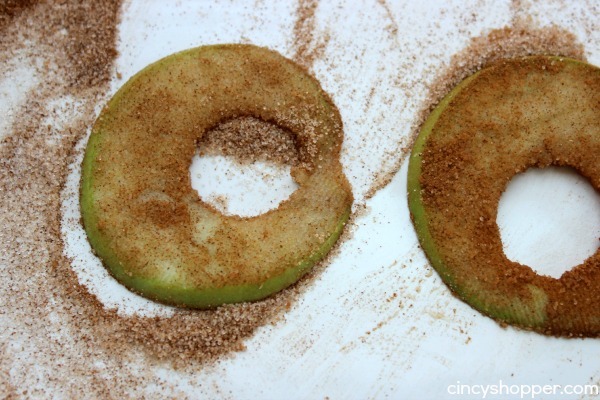 If you are a fan of apples and cinnamon flavors you will really enjoy this recipe. These are not difficult to make just takes quite awhile drying the apples out in the oven to make them more chipish. 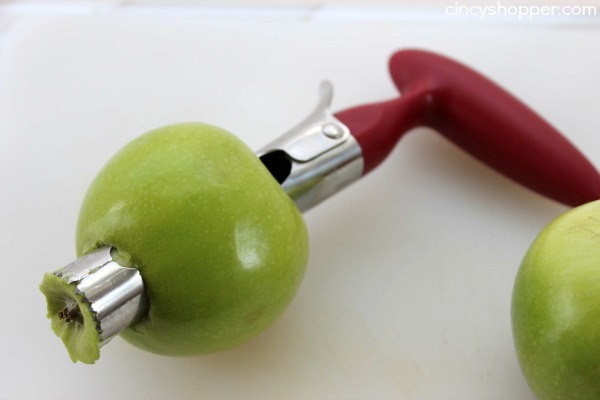 Core each apple and slice thin with a mandolin slicer. 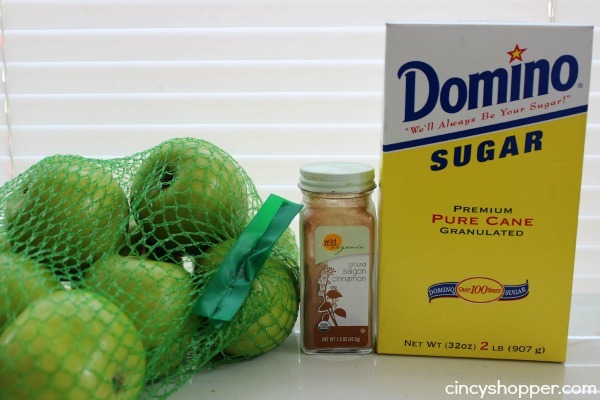 Mix cinnamon and sugar together and sprinkle over slices. Place slices on metal baking sheet and bake for 2 hours or until edges curl and chips are dry. Transfer to wire rack to cool and completely dry. If you are needing a great apple corer you can check your local stores or hop on over to Amazon and snag this Cuisipro Apple Corer . I LOVE having this on hand to core apples much quicker. Also if you would like to know How to Prevent your Apples from Browning, check out my post here. these recipes are interesting..I will certainly be trying them soon….especially the apple ones..thanks!